■(9th January)Takashi Toda met Dr Paul Nurse in Tokyo and discussed research progress and further collaboration between their groups. ■(30th Janunary-7th February)Dr Takashi Toda visited the Francis Crick Institute in London. ■Dr Kazunori Kume returned from the Francis Crick Institute after 3-month stay. Welcome back. ■(10th and 11th July)A HiHA member Prof. Seiji Kawamoto visited Harvard Medical School. ■(21th and 22th August) A HIHA member, Dr Kenji Arakawa visited the Oregon State University. ■(27th September)Professor Takahiro Chihara, a core member of HiHA met Dr Liqun Luo (Professor at Stanford University). ■(16th December) Dr Kazunori Kume left for London to conduct collaborative research with Dr Paul Nurse’s group in the Francis Crick Institute. 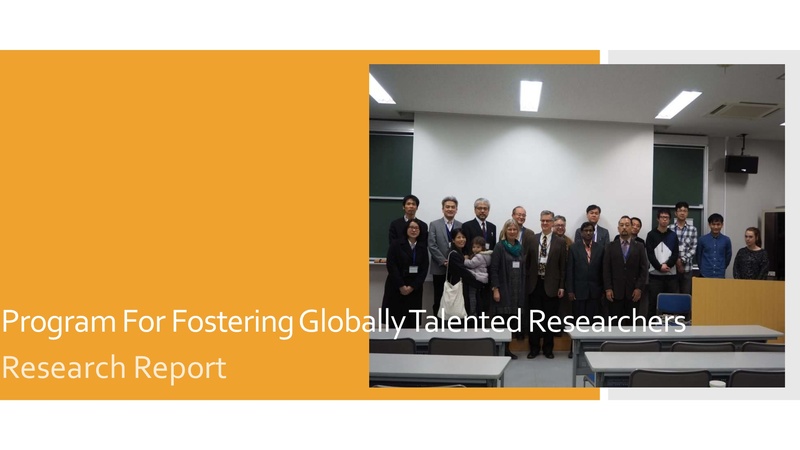 ■Core members of HiHA have succeeded in being awarded JSPS international research grant “Program for Advanced Strategic International Networks to Accelerate the Circulation of Talented Researchers”. ■18th and 19th December Takashi Toda visited the Francis Crick Institute and discuss research collaboration with Paul Nurse’ group. ■5th January 2018　Dr. Corinne Pinder joined Takashi Toda’s laboratory from the Francis Crick Institute as a research scientist. ■(10th January) Dr Kazunori Kume left for London to conduct collaborative research with Dr Paul Nurse’s group in the Francis Crick Institute. ■Dr Kazunori Kume returned from the Francis Crick Institute (Sir Paul Nurse group) after 3-month stay. Welcome back.